When I was a kid, my family had a traditional vacation spot. Sure, we went other places, but we had a specific place we visited more than others. It’s not been that way since I have my own family now. We kinda like to be adventurous and see different places. Sure, we’ve been to places more than once, but that’s usually a weekend or shorter trip. Not the BIG summer vacation. Austria, however, is the place that both my wife and I agree that we want to repeat. It was simply a great place, great sights, great food including the incredible Salzburger Nokerl. But if/when we go back, I’d like to visit a place we just couldn’t squeeze in the first time. 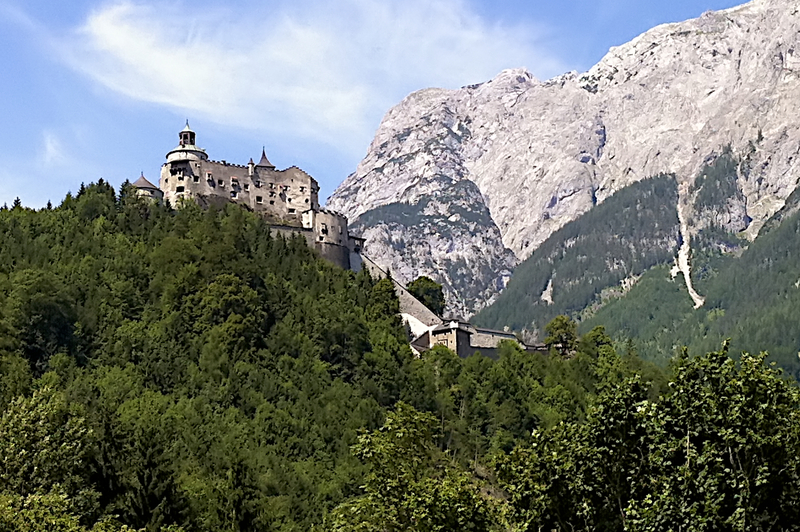 In the mountains behind this castle are the giant Salzburg ice caves. It would’ve been very cool, but apparently it was quite a hike and very icy.